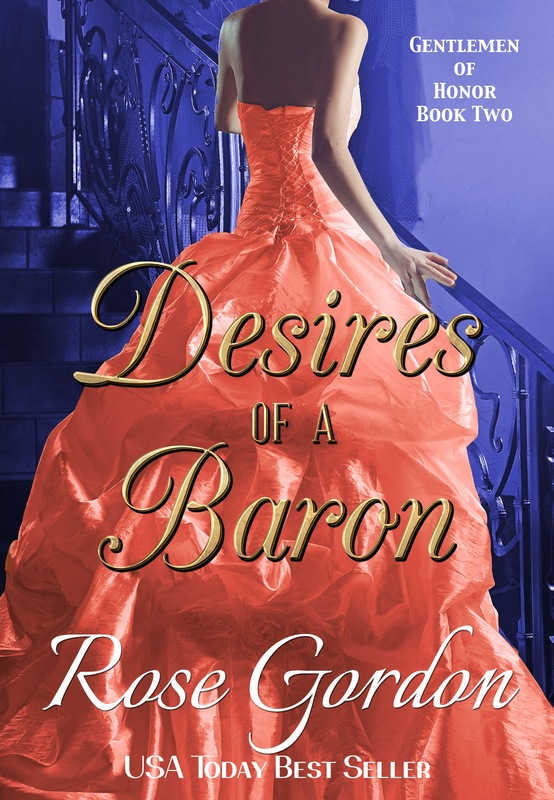 Passions of a Gentleman is up for pre-order!!! FINALLY!!!! I know some of you have already seen this and I thank you if you’ve already pre-ordered your copy. But for those who haven’t? 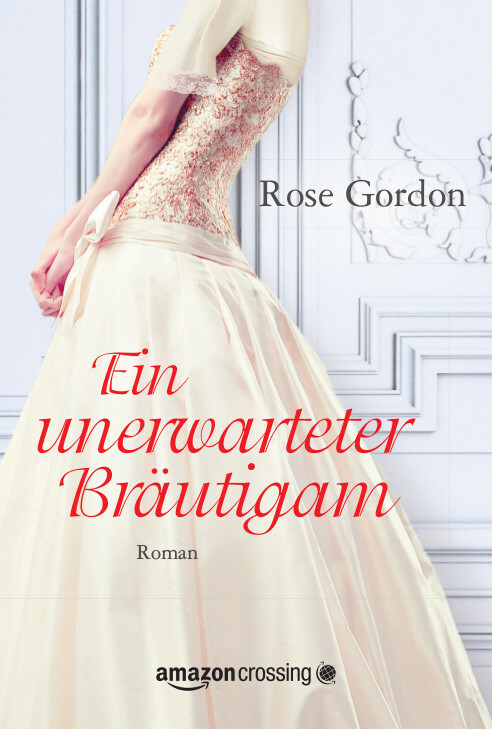 Also up for pre-order…. Mistletoe & Michaelmas! But perhaps a sprig of mistletoe, a dash of fate and a shameless, meddling family (even in the form of an ancient duke), Michaelmas, 1816 might bring about a future they never expected. 1. The Officer and the Bostoner is FREE at Amazon from now until Sunday. As most of you know, a few months ago when I published Jessie: Bride of South Carolina as part of the 50-States American Mail Order Bride series, I temporarily moved all three of my other westerns into Amazon’s Kindle Unlimited program to help generate interest in both directions. Long story short, that marketing plan was not a success, however, as part of this program, I’m able to make the book temporarily free! So, if you haven’t started the series yet, now’s a great time! 2. Final days of books available in Kindle Unlimited. All four of my westerns (The Officer and the Bostoner, The Officer and the Southerner, The Officer and the Traveler and Jessie: Bride of South Carolina) are currently enrolled in the Kindle Unlimited program and will be for approximately 10 more days. If you are a subscriber and have been waiting to read one of my westerns or any of the 50 American Mail Order Bride books, you still have time to start! 3. Passions of a Gentleman is further along than ever! Without boring everyone with details, I started this book with a bang! Then crap…er…I mean, life happened. If my lack of blog posts has been any indication, it’s been a rough almost two years. I can’t possibly remember all the times I’ve been overwhelmed with my surroundings and I’ve given up on this story…then restarted. Over and over it’s happened. It’s been brutal. Poor Simon! Anyway, about six months I finally put it aside for what I hoped wouldn’t be forever, but wasn’t willing to say that wasn’t true. About two weeks ago, I opened up the file and have started it again with all new ideas and motivation. I can happily report that all of my pervious attempts usually landed me somewhere between 3,000-10,000 words. The first time was the best, however, as I had 16,000 words (like I said, I started with a bang). I have currently surpassed that and I’m on a roll!! I am hoping *fingers crossed* that this book will be done and available in April! As soon as I get through the first draft and start edits, I’ll nail down a definite date and announce a pre-order. These past few years haven’t been easy and I want to thank you all for sticking by me and your continued support. I couldn’t have asked for better readers! 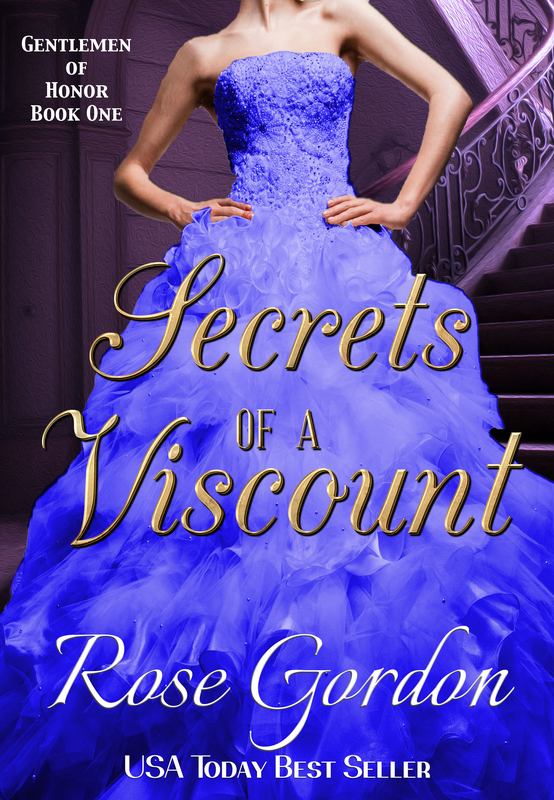 Because we just ended one series and are starting another, I thought I’d take this week as another break and feature my latest release, Secrets of a Viscount! I know, it’s the first scene, but once again, I think it’s the best place to start. A sharp, scraping sound rent the chilly night’s air, jolting Isabelle Knight awake from her dreamless sleep. 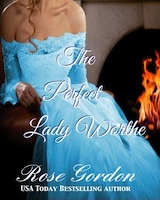 Isabelle’s green eyes sprang open and her fingers clutched the bed sheets. Another loud screech from the direction of her only bedroom window broke the deafening silence that had once again fallen over the room. Her heart hammering wildly in her chest, she forced her eyes to the window. A billowed curtain of cream and lace and the tops of a pair of black leather boots was all she could see through the dim moonlight. The blood in her veins sped up, but her body was still paralyzed. Someone was breaking into her room and she was too frightened to do a single thing about it except remain still with her eyes locked in terror at the curtains. “Are you ready?” a male voice whispered in the dark. Relief flooded Isabelle’s body. She knew that voice. It belonged to her neighbor Sebastian Gentry, Viscount Belgrave. Isabelle and her sister Rachel had known Sebastian since they were children. However, just because she’d known him nearly all her life and trusted him entirely, did not explain why he was in her room, nor why was he asking if she were ready. “Ready?” she queried, sitting up in bed and instinctively putting her hand over her chest to keep him from seeing any part of her that he shouldn’t. “The elopement,” he burst out. Shock, followed by anger, filled Isabelle. Rachel and Sebastian had made plans for an elopement? And they hadn’t told her. Of course they hadn’t told her. It was an elopement. That was the point. Elopements were about sneaking off and getting married without telling anyone. She gazed at the outline of Sebastian’s broad form by her window; she had only a second to make a decision that would alter both of their lives in more ways than she could even comprehend at the moment. But the truth was, she was the daughter of a country squire in the most unpopulated part of England. Her prospects were slim at best. If she didn’t wish to become a spinster, or worse, marry a man thrice her age, there was no need to question the good fortune that had just befallen her. “Very well,” he said crisply. He stepped through the open window to wait for her on the balcony. Isabelle sat still for a minute. Did he not want to marry Rachel, either? His tone would suggest as much. With a shrug, she pushed to her stocking-clad feet and slid them into a pair of black slippers she kept under the edge of the bed, then grabbed her biggest hooded cloak and put it on. Though her room had been so dark all she could see of him was his outline, and she doubted he could see any more of her than that, too, she had no doubt that outside where the moon was illuminating the hillside, he’d be able to see her and know right away he’d fetched the wrong sister. That was the last thing she wanted to have happen. Satisfied she could both walk and conceal her identity at the same time, Isabelle made her way to the window and tentatively allowed Sebastian to help her through. “How do we get down?” she asked, scowling at the trellis. Not that she was scared to climb down it, mind you. She’d climb to the top of the Great Pyramids on her hands and knees if it meant she could have someone as young, virile, honest and sincere as Sebastian for her husband. The problem was more of how she’d climb down the trellis without having to remove her cloak and expose her identity. Pursing her lips and biting her tongue so not to make the retort that was waiting on the tip of her tongue, thus giving away her identity, she politely nodded her head and stepped away from the ladder. The exact thing Rachel would do. “Because if you’re standing beneath the ladder you’ll see right up my nightrail,” she stated primly. Her face grew hot. She’d forgotten that little detail. If they were about to elope, they were also about to have marital relations. Unfortunately, her mother had never actually informed her of all the details, but she’d surmised from whispers she’d overheard between the servants that it involved both parties removing their clothes. She shivered. She was only sixteen and regarded Sebastian as nothing more than a friend, for her father wouldn’t allow it any other way, often reminding her of her place in this world—which was not at the side of a titled gentleman, for he would never return her love and affection. Therefore, there was no love or affection between them, perhaps a measure of adoration that she went to great pains to conceal. Instead they had friendship. And friendship would be a very acceptable foundation for a marriage, in her opinion. But still, the idea of him seeing up her nightrail—both now and then again in a few hours—made her face burn like it had caught fire. “Are you having second thoughts?” Sebastian asked from the bottom of the ladder. Did he want her to have second thoughts? Or more specifically, did he want Rachel to be having second thoughts and cry off? Perhaps that’s why he wanted to go down first. It made sense to her. He could have held the ladder still from the top. He’d wanted to go down first in order to find one more way to scare her out of going through with this. Steeling her spine, she carelessly threw her leg over the edge of the balcony railing (clutching the top of the ladder for dear life at the same time), and in the most disgraceful and unladylike way possible, descended the ladder, stopping only briefly three rungs from the bottom to make sure her hood still covered her face adequately.